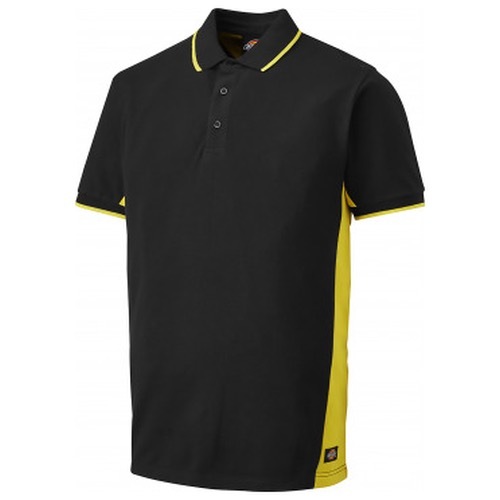 The Dickies SH2004 Two Tone Polo Shirt is manufactured from 100% cotton. With black as the main colour for each garment the colour options refer to the colour of the panelling and the collar/cuff tips. This garment is ideal for employee uniform requirements and can be personalised with the addition of embroidery & company logos upon request.